How One Student Raised More Than $2M in 5 Months and Quit His Job! Part 1 – [You Are Here] – How One Student Raised More Than $2M in 5 Months and Quit His Job! Part 2 – Here’s How One Student Raised More Than $2M in 5 Months! Ever wondered what it would be like to walk away from your 9-to-5 job because you’re earning plenty without it? How good would it feel wake up whenever you want instead of 6 a.m. Monday through Friday? Or to stop suiting up for a job you don’t like and hit the road with thousands of other tired, stressed-out drivers on their way to their jobs? What if you could leave your job because you learned just how to raise private capital (a.k.a., other people’s money) for all your deals? How would that feel? Why not ask someone who has done it… like Sep? At the end of 2014, Sep got to say good-bye to his 9-to-5 job. He’s now a full-time Real Estate Investor, which was his goal that he’d been working to reach for the past few years. What he didn’t know is that he only needed a few months to achieve what he thought it would take a decade to do. So how did Sep suddenly achieve this new American dream? Sep wants everyone to know that there was nothing sudden about his path… well, at least not till 2014. Then his success in raising lots of private capital did happen suddenly. Sep had to walk a twisting path before he found Cash Flow Diary training. Sep’s dissatisfaction turned into a journey. He began actively seeking a new way to earn money. That’s when he heard about investing in stocks. One of his friends told him about a guy he knew who didn’t work, but earned a fantastic income in the stock market. Sep has a tale of warning for anyone thinking about this type of “get rich quick” strategy. Sep dusted himself off and began again. One motivating force was that he wanted to move out of his parents’ home. Sep wanted to be financially stable. He wanted to put money away for later in life. He wanted to feel good about his work while earning a good income. Though his experience in the stock market didn’t turn out as he had hoped, he didn’t stop looking and listening for opportunities to learn ways to create wealth. Before Sep got to that point he had a few hard and costly lessons to learn. At this point, it became clear to Sep that what he had learned about getting the deal and talking about the deal and pushing the deal down people’s throats didn’t work very well. He wanted to find investors and use other people’s money in his deals, but he didn’t know the first thing about it. Then he remembered hearing J. Massey talk about raising private capital. Sep had a few more V-8 moments as he went through the 12-week Mastermind. If you were to ask Sep what his biggest misperceptions about Real Estate Investing were before entering Cash Flow Diary training, he’d give you a short list. 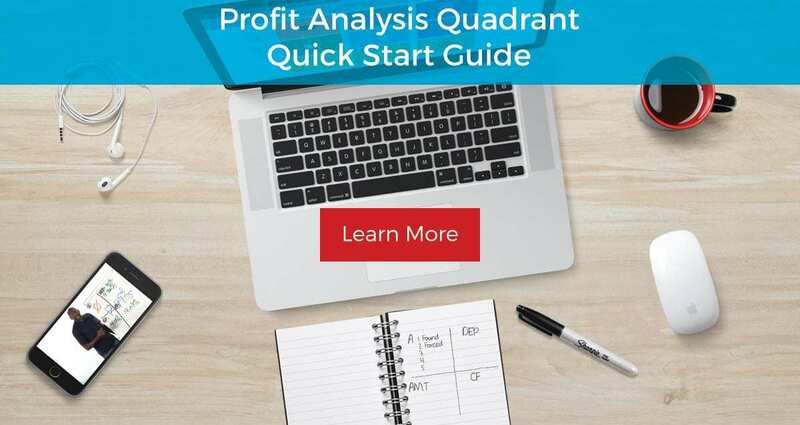 Sep adds that once he learned how to use a tool called the Profit Analysis Quadrant™ that was specially developed to help people like him explain deals and educate investors about why they would benefit from working with him he could help a whole lot more people through his properties. The short story is that Sep took Cash Flow Diary training and learned how to raise private capital. He’s good at it. In fact, he has raised more than $2M in private capital for his Real Estate transactions. But that’s not the most impressive part. Sep achieved this feat over five months! Sep went through our Raising Private Capital Mastermind Group, which is now a video course that others are using to follow in his footsteps. The cool thing is that there are a number of students right now who are hot on his heels! We added the Cashflow Creators Course to our Cash Flow Core Membership to help people learn exactly how to raise the funding they need for their projects. It’s just one of the training programs in the membership, and we’re getting excellent feedback about what people are learning across the board. If you were to meet Sep, you’d wonder how such a mild-mannered, soft-spoken guy would be able to raise millions of dollars in private capital or how he closes on large multi-family properties. He’s too shy, right? Nope. His quiet demeanor isn’t what matters. According to Sep, his success all comes down to practicing what he learned and continuing to take steps to build and improve on his skills. He tells us that persistence helps, and that he gets a lot of support from his girlfriend. He also says that he cut ties to the negative people in his life. Sep isn’t the first student to achieve such heights in Real Estate. It’s just that he’s done it faster than most. He is an inspiration to us all. He says he feels like a “cashflow magnet” now. Sep also says that he’s taken training with other groups before, but he never learned in such a practical manner nor in a way that made such common sense. Playing the Cashflow 101 board game – Created by Robert Kiyosaki and the Rich Dad Group to teach players about financial intelligence and that what happens in the game can happen in real life, this game is a must-have for any investor, entrepreneur, business owner or literally anyone who wants to achieve wealth. Attending networking events – Even the shy have to get out there and try. You cannot get to your goals alone, and how can you expect to find what you need if you don’t get good at communicating your goals? People aren’t mind readers. Thinking things through – There are things you have to understand about different types of deals, how the numbers work for or against you, if something is truly a good deal or not, and what you’re willing to negotiate. This understanding takes learning and practice. No one is an overnight success. We all learn in stages. Four to be exact. I talk to people. I have lots of conversations all the time. Want to know Sep’s secret? He talks to people. He has lots of conversations all the time. But there’s obviously more to raising private capital than that, right? Where are these investor types who will let you use their cash and credit in your deals? Why would they be so willing to do it, and what do they get in return? How do you talk to them? What are the “magic” words? Can anyone do what Sep has done and in such short time? Hey, I get these questions all the time. Truth is that when it comes to the topic of creating cashflow and raising private capital there’s a lot of ground to cover. That’s why I’m breaking this article into three blog posts. This is part one of three. Be sure to read the other posts! In the next one I’m going to answer more of the questions posed here today. There is a way to get on the fast track to raising private capital for Real Estate deals, to start a new business, to develop a product you think will sell well, for a film or any other type of project that’s been percolating in your mind. It just takes the right information and guidance. Stay tuned. Read the next two blog posts. You’ll learn a lot! Here’s How One Student Raised More Than $2M in 5 Months!